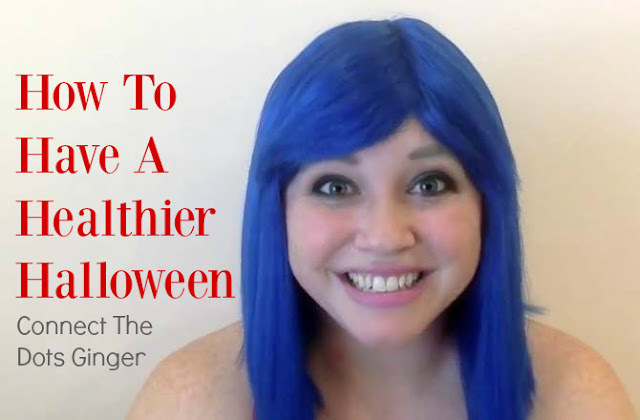 I know you are reading this thinking "why the world would I want to have a healthier Halloween?" Stick with me though, because I know this will help you think and change some old habits you might have about the official start to the holiday season. PRE-PORTION YOUR CANDY ALLOTMENT: Make this year different than you have any other year. Choose not to binge on candy waiting for the kids to come to your door, Or the cookies and treats left out work, or candy already sitting around the house. Pre-portion out your candy allotment to help you stay on track. Use a small bowl, however many pieces you are allowing. Really, all you need is just a taste of the candy to get that "fulfilled" feeling of satisfying your cravings. WORKOUT FIRST THING IN THE DAY: Get your workout in EARLY in the day. Get it done and out of the way so that you feel accomplished. 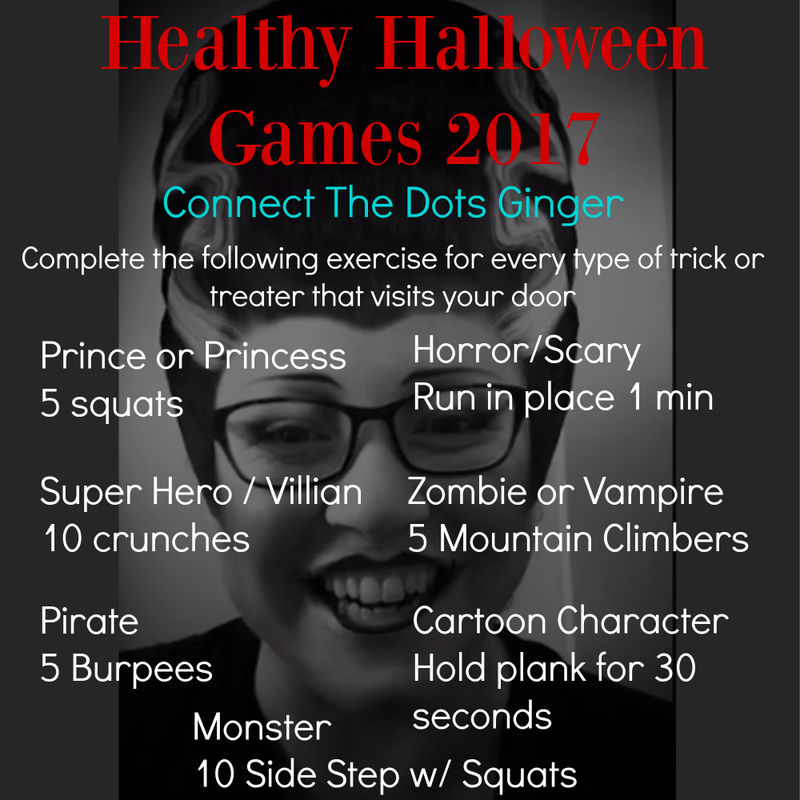 Want a fun, post trick or treating activity? 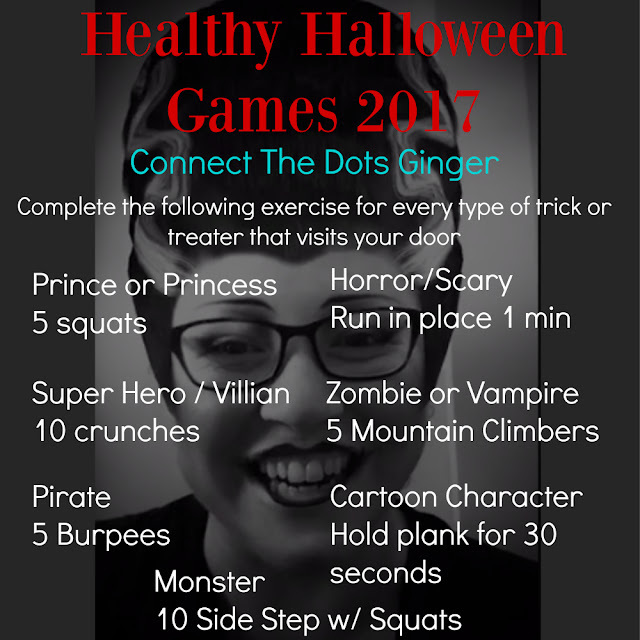 Check out my annual Healthy Halloween Games Below! Keep a list/track what costumes the kids are wearing and complete the following exercises for every type of costume that visits your door. Make it a game with your kids to help you keep track and even enjoy joining you at the end of the night. EAT RIGHT DURING THE DAY: Stay on point with your nutrition during the day. This will help you enjoy your candy allotment guilt free that night. Don't let today be an all you can eat, whatever you want kind of day. Choose to feed your body the foods it needs to help it process the other foods a little easier. HAVE ZERO GUILT: November 1, don't feel guilty for what did or didn't happen. Plan today to drink extra water, add some lemon to it too to help your body cleanse. Also plan to eat more leafy greens and veggies to help your body push the foods out a little faster. 1 day of not following your preferred eating plan will not ruin your results or derail you, but more than one night will. HAVE FUN: Enjoy your holiday, because it is a day of fun that is meant for fun. Rock your costume like the Badass you are. Love how you look. Love how you feel, and HAVE FUN! Wow... What a brilliant idea to make a healthier Halloween.. I will start also the same workout routine..